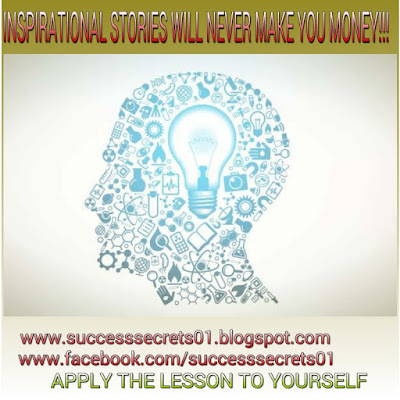 SUCCESS SECRETS: THE TONTO DIKE YOU DID NOT KNOW: I GUESS YOU DID NOT KNOW THESE FACTS! THE TONTO DIKE YOU DID NOT KNOW: I GUESS YOU DID NOT KNOW THESE FACTS! Nollywood actress, Tonto Dike may strike many as a magnet for controversy, but a stroll into her world reveals there’s more to her than controversies, tattoos, cigarettes, twitter fights and drama. Born on June 9th, 1985, Dike is now a force to reckon with in Nollywood, the Nigerian movie industry. With an increasing number of Nollywood movies to her credit, she has gradually acquired a large fan base among Nollywood movie fans, both in Africa and in other parts of the world such as the United States, where these movies are exceedingly popular. The light skinned, beautiful and talented Tonto has her determination and her God to thank for her break into the limelight. Her description of Julia Roberts: ‘Lighthearted and serious-minded, brave in the face of any movie role that comes her way…. I see a lot of Julia Roberts in myself.‘ The journey to acting had its rough patches, the most threatening being her admission into University to study engineering. She says, ‘Deep within my heart, I cried, thinking I would never achieve my dreams.‘ She had embraced the idea of the incompatibility between higher education and acting. However, she decided to take on both activities with enough passion to keep her going till the end, a decision that worked in her favour. Tonto is a graduate of petrochemical engineering from the University of Science and Technology (RSUST) Nigeria. Tonto’s big break came in 2006 through a Nigerian reality TV show, The Next Movie Star, where she emerged the first runner-up, exposing her to the world of Nigerian movie entertainment. Her experience, she says, was a lot of fun and very emotional, helping her learn the concepts of theater arts, including character analysis and interpretation. At the end of the reality TV show, Tonto had become acquainted with a few people in the industry who believed in her dreams, and movie roles started coming. Since then, she has been fully involved in a series of Nigerian movies, acting alongside other prominent Nigerian actors. She still has bigger dreams, with Hollywood and the opportunity to take classes at the New York Film Academy as her next targets. She also intends to own a standard editing studio and a petrochemicals firm in Nigeria. Apart from starring in movies, Tonto loves dancing, reading fictional novels and her Bible. With her impressive aspirations, there’s definitely a lot more to come from Miss Tonto Dikeh. My happiest moment is when I’m in church, where I can feel the presence of God…For me it’s a place of peace, a place I can talk to My Creator the only one who sees me for who I am, who never criticizes me, the only one who understands all things. I love my moment with God, IT REFRESHES ME AND MAKES ME HAPPY…. In the Movie industry I admire AL-PACINO and JULIE ROBERTS, I think they are fantastic actors (Their ability to play different roles in different movies without a trace of characterization carry over is an amazing thing)….In Nollywood I admire the likes of RITA DOMINIC, INI EDO, RAMSEY NOAH, RICHARD MOFE-DAMIJO..
6. Envy and Bitterness is only a way of stopping your blessings.